Milton, as much as Shakespeare, remains our contemporary. As Wordsworth put it in a sonnet from 1802, ‘Milton! thou shouldst be living at this hour:/ England hath need of thee.’ One half of a nation almost as bitterly — if not as bloodily — divided as in his day needs to understand how the blind, scorned radical, ‘though fallen on evil days… In darkness, and with dangers compassed round’, channelled his dismay at the failure of England’s revolution and the restoration of monarchy into a masterpiece that finds salvation through despair. In 1660, Milton was arrested, imprisoned and might have gone to his death as an impenitent regicide without a few well-placed admirers. His epic, with its aim to ‘assert eternal providence/ And justify the ways of God to men’, climbs from his pit of disillusion to find meaning and hope in calamity. A hero for Remainers, then. The great John Milton lived in Berkyn Manor (known later as the Bull Manor), a house in Horton near Slough, Berkshire, for about three years (1636-1638). He was out of Cambridge, apparently due to a conflict with his tutor, and was living with his parents. He didn’t write his greatest works there. Paradise Lost was published in 1667. He worked on it at his cottage, which is open to literary tourists. 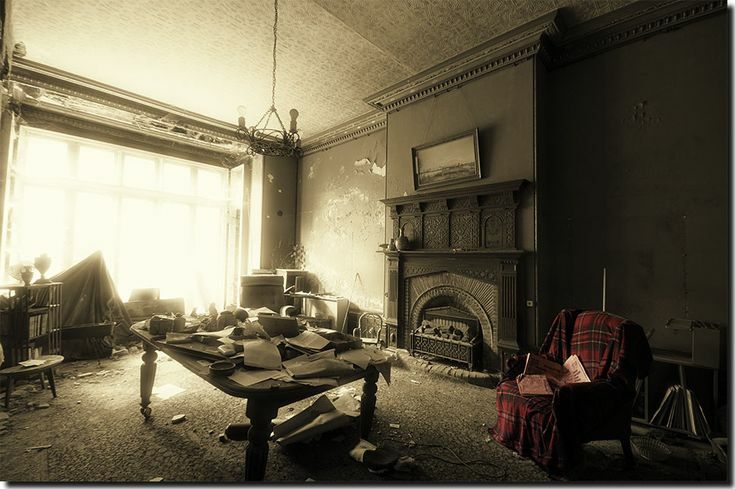 Photographers have drawn attention to the Berkyn Manor by distributing their shots of the dilapidated interior, which has been sitting empty since it’s last owner died in 1987. It is the thesis of this book that the heroic narrative is not simply our way of telling ourselves comforting fairy tales about the ultimate triumph of Good over Evil, but an implanted moral compass that guides even the least religious among us. In a book at once learned, insightful, inspirational, and maddening, Michael Walsh, former Time Magazine associate editor and current New York Post columnist, finds a useful lens through which to examine the culture wars of our time. The conflict goes beyond religion vs. atheism, or left vs. right, he tells us in The Devil’s Pleasure Palace. It’s about stories. It’s about the basic narrative through which we view history. This, of course, is a point of view that pleases me immensely. All human cultures, Walsh argues, have told their stories in the basic three-act form, the “ur-Narrative” – something is lost, a battle is fought, and the lost thing (or something better) is regained. Against this, the modern left sets its own narrative of history, based on deconstruction, adopted from the poisonous thinkers of the Frankfurt School of philosophy who fled to America from Hitler in the 1930, took up residence, accepted the freedom and plenty of the country, and immediately began to plot to bring it all down in flames. Because they believe in destroying the good, to make way for their perfect dream of the socialist society. I appreciated Walsh’s well-informed critique of the Frankfurt School thinkers and their influence. I was less enamored of his depiction of the “ur-Narrative.” He writes frankly from a Christian (Catholic) point of view, but his depiction of Christian theology is pretty idiosyncratic. It helps to remember that he bases his view of the narrative of the Fall of Man, not actually on Genesis, but on Milton’s poem “Paradise Lost.” And even in that, he stretches the text a bit to make a non-Miltonian, semi-Catholic point. 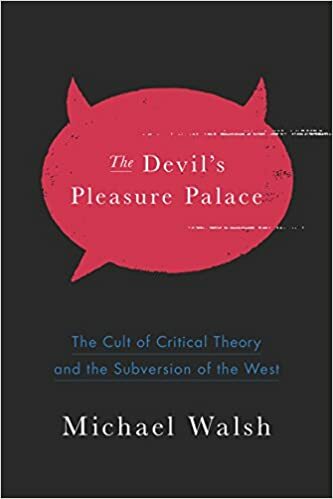 But I still found The Devil’s Pleasure Palace immensely fascinating and informative. Walsh has hope for the future of our culture. I’m not sure I share it. But I’m glad I read the book. Recommended, with cautions.